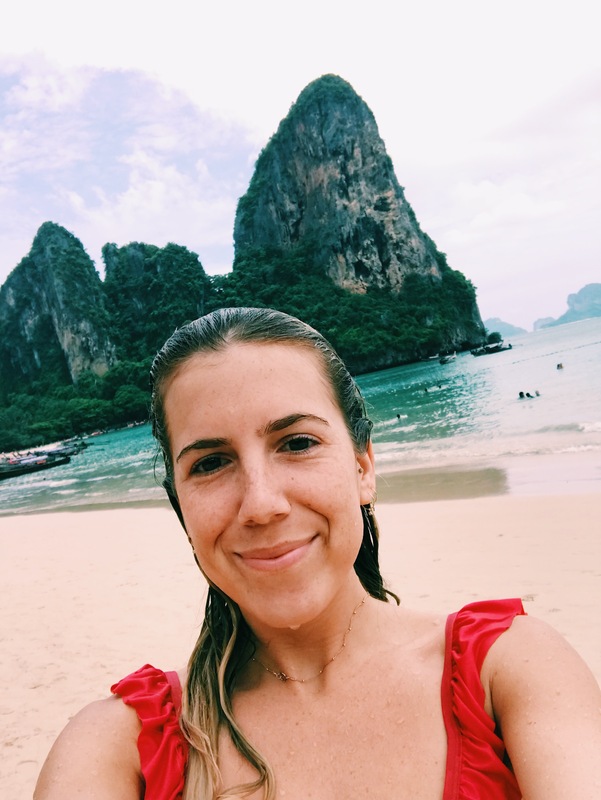 The past few weeks I traveled around the hot-now destination of South East Asia: Thailand. After returning to the states I reflect on my trip; the places I visited, people I met, food I ate and experiences I encountered. I am writing this Tell All because it is something I wish someone told me before my trip; about what it’s like over there. The good, the bad, the beautiful and the ugly. This post is not about sharing my itinerary or giving hotel recommendations; however, if you want to know my itinerary please email me and I’d be happy to send a copy to you! I am writing this because I want to share the story of my experience, and recommend some must-sees/dos in each city. To begin, this trip is not for the faint of heart. From the long flight to the deadly heat and humidity, you need to be both mentally and physically ready for lots of traveling and even more walking. Not to mention you’ll probably encounter some crazy stuff (rats, cockroaches, strange foods, etc). The flight was 15 hours from New York to Shanghai, a 3-hour layover and then 4.5 hours from Shanghai to Bangkok. First things first, I would suggest having a layover elsewhere. The Shanghai airport was creepily desolate, reminiscent of Dawn of the Dead, eerily quiet. There were also hardly any shops or restaurants to keep you busy during a long layover. Once we finally got to Bangkok it was the middle of the night and the jet lag was in full force. After sleeping for roughly 3 hours that night we were ready to start our day and explore the enormous capital. **Note: you will definitely want to purchase a sim card once you get there. Mostly for roaming the cities. Many places are equipped with wifi but for peace of mind and not having to carry a map with you everywhere you go, a $30 sim card for 2-weeks worth of data is a smart investment. Also if you’re a picky eater or vegan it might be hard to find food you like there, or you might just end up eating pancakes and pizza for every meal as my boyfriend did. Oh and keep in mind, even if you can handle spice you probably can’t handle Thai spice. I learned that the hard way. Where do I even begin with Bangkok, this city is unreal, unlike anything I’ve ever seen before. We stayed in the Sukhumvit neighborhood the first time which has lots of high-end shops, cool restaurants but not much traditional Thai attractions. We spent the day exploring the city and enduring numerous near-death taxi rides around the city sans sim cards and google translate. The rest of the trip we chose to walk as much as possible because the 90-degree weather with 100% humidity was slightly more appealing then fearing for your life and clutching the handles of the cab as you swerve in and out of heavily trafficked roads without speed limits or stop lights. If you’re a thrill seeker you can visit Thailand just for the car rides! We started and ended our trip here. When in Bangkok you should check out The Grand Palace and any other temples you would like to explore. There are an abundance of street markets and Silom street, which we visited, was fun to just walk through. Silom is home to the famous Sky Bar featured in the Hangover 2. We stayed in a hotel right on this road our final day and preferred it to Sukhumvit based on it’s proximity to restaurants and more touristy shops. 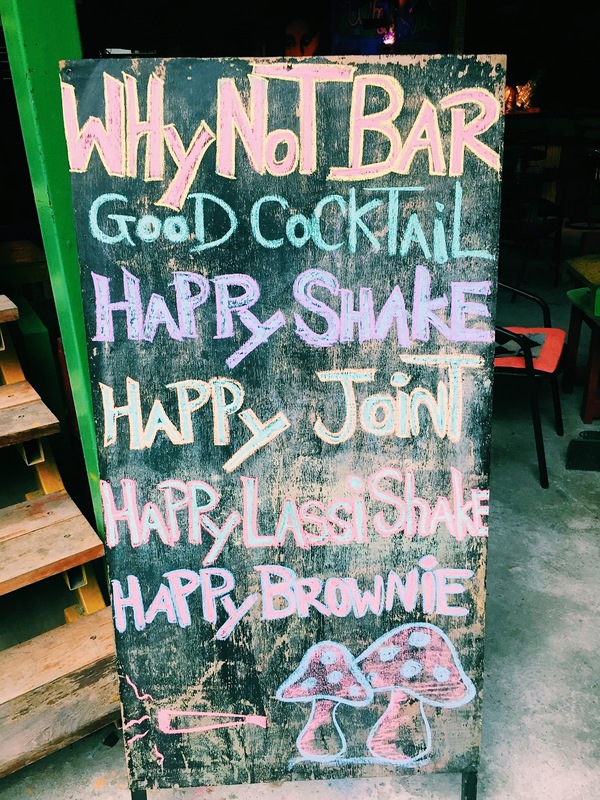 amazing Asian Fusion cuisine and uniquely crafted cocktails. A must do for foodies who are looking to treat themselves after eating at budget joints the past two weeks. Don’t worry you won’t break the bank, even a fancy dinner in Thailand is less expensive than it is in the US. The exchange rate there is great, you can act like a big spender without having to spend a lot. We spent the next five days in the northern city of Chiang Mai, an absolutely beautiful region. The city is situated in a valley surrounded by lush mountains and incredible views. We stayed in the old city a square city block surrounded by a moat. Everything was walkable, the city was charming with a lot of character and traditional Thai elements. There were restaurants and shops on every street and plenty to do both within the old city as well as beyond the walls of the moat. I want to be completely transparent, it was hard to find something to eat for the first few days. I used Trip Advisor to research every restaurant beforehand to not risk food poisoning. I’m shocked I’m even saying this, but I was not comfortable eating the street food and I would extend that warning to anyone wanting to visit Thailand. I noticed many of the vendors did not have means of protecting the uncooked meat from the blistering heat. Not wanting to risk it we stuck to restaurants that were busy, served a variety of food and had both locals and tourists eating there. Bonus points if it was listed on Trip Advisor and had good ratings. Almost all the restaurants throughout Thailand seem a little ‘divey’ when comparing them to the US. So be prepared, you’re not going to see very many top-notch places just walking around the street which might lead you to be a little reluctant as was I. We overcame this and found some great spots. A couple foodie-friendly, instagrammable restaurants in the old city that I think you should check out are Hot Chili for the drinks and atmosphere as well as Fern Forest Cafe modeled after a Parisian cafe, serving great tourist-friendly grub and traditional Thai food. 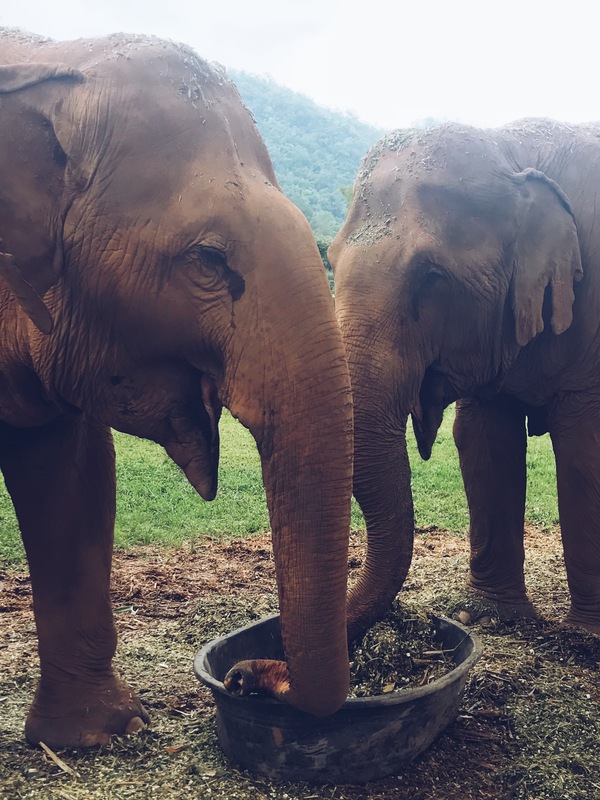 A highlight of the entire trip was our day spent at Elephant Nature Park. This is an absolute must do if you go to Thailand. 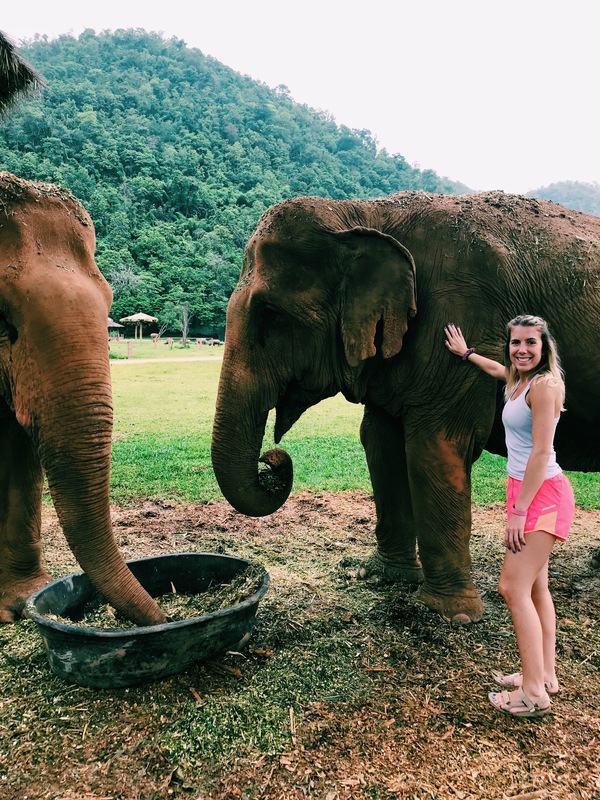 I love animals and did a lot of research to make sure we visited a humane and cruelty-free Elephant Sanctuary. This means no riding, which is what many tourists like to do, but those places hurt the elephants which is an absolute no for me. 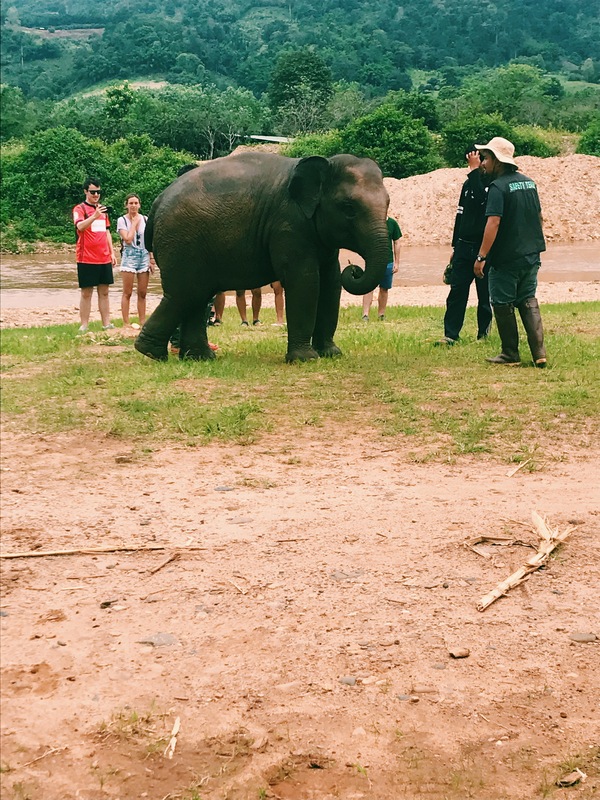 Elephant Nature Park is one of the few or only sanctuaries in Thailand that do not harm the animals. They are all rescued from a traumatic past of logging, circus or street begging and given a new chain free, cruelty-free life. 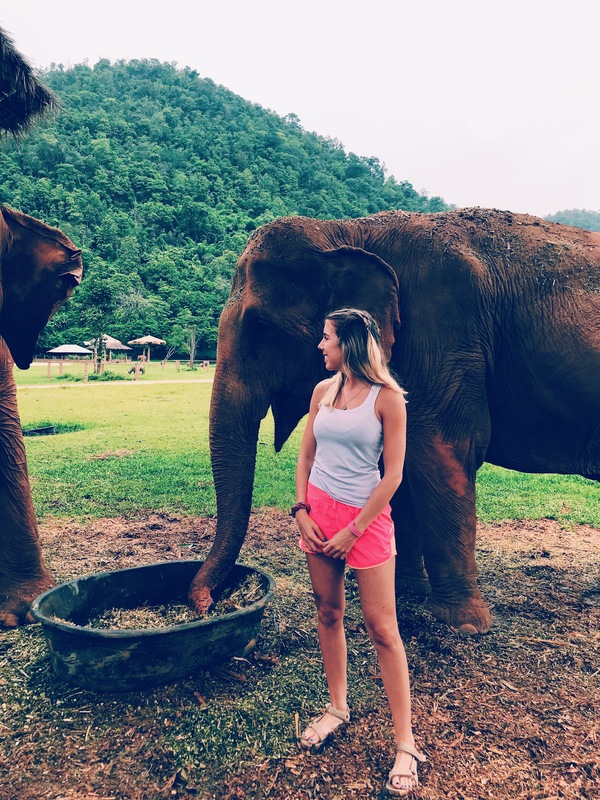 Our day was filled with touring the grounds, feeding the elephants, meeting about 20 out of 78 gentle giants they have there and plenty of photo ops. I could go on forever but that would mean a whole ‘nother post, so just look them up and go. Another must do in Chiang Mai is take a cooking class. They have so many to choose from so just head to Trip Advisor and find the one right for you! How do I even begin to describe Railay? I guess this is just a place you will have to see for yourself. Situated on a small strip of land surrounded by Limestone cliffs is the unique “town” of Railay, part of Krabi Province which is only accessible by boat, giving it the exclusive Island feel you yearn for when heading to the south. 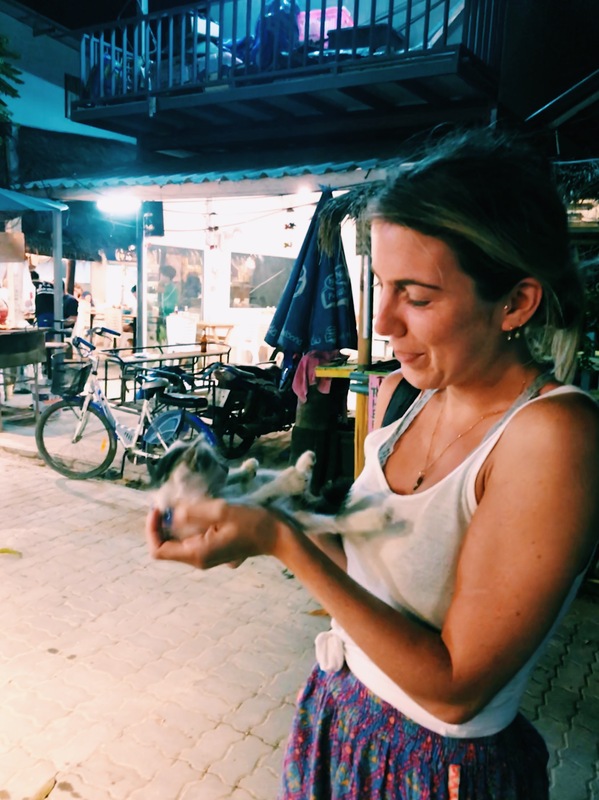 Railay is filled with beautiful beaches, incredible views, the cutest stray cats, endless reggae bars, no rules and all the happy smiles your baht can buy. Railay, you were quite the place. We stayed on the East Side which offers scenic views of the cliffs and the rest of the island but is quite the trek up and down steep paths to get to the beach. 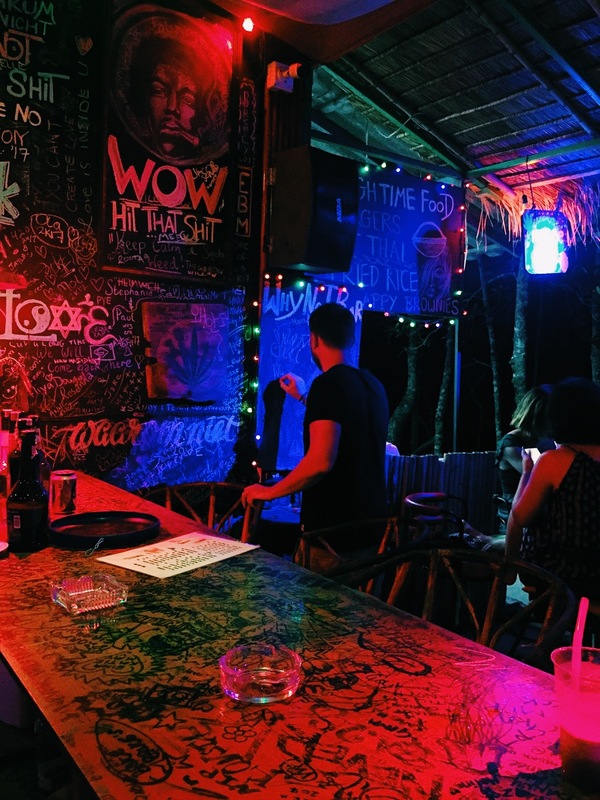 If I were to ever go back I would definitely stay on the west side which is situated right on the beautiful beach, nestled between large cliffs and close to the walking street which has a bunch of cool bars and restaurants. Another disclaimer, we had a hard time eating here as well. Some of the places we passed were displaying raw fish that did not look edible, I’ll spare you the details. Also after eating Thai food for the first week, I seemed to have had my fix and wanted different food. It wasn’t hard to find “western” food but in a place where you can get a tattoo in a shack at the back of a restaurant by a man smoking happy cigarettes or a Thai massage upstairs, we didn’t know what we were getting into. 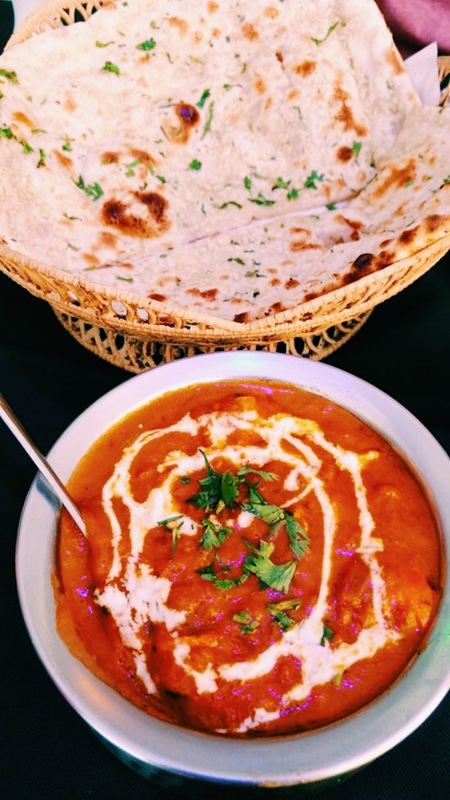 I did end up eating some of the best Indian Food I have ever had at a place called Kohinoor India Restaurant & Pizza (unique name right). All of the places in Thailand have the funniest names, you will crack up just walking around looking and deciding whether to eat at “It’s Good Kitchen” or “Thai Food Restaurant”. 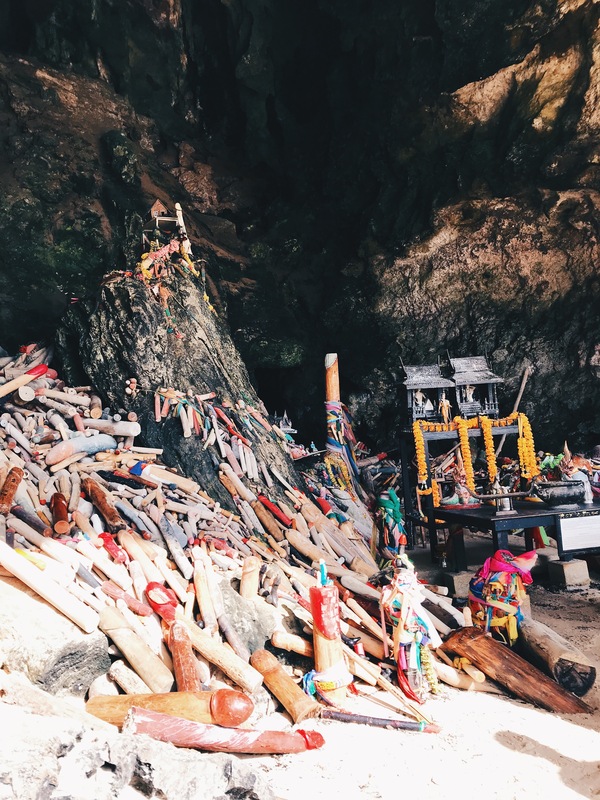 When in Railay visit caves, do island tours, enjoy the beaches, soak in the views and maybe don’t get a tattoo… It just looks like hepatitis B is waiting to happen, even if you have your vaccinations. 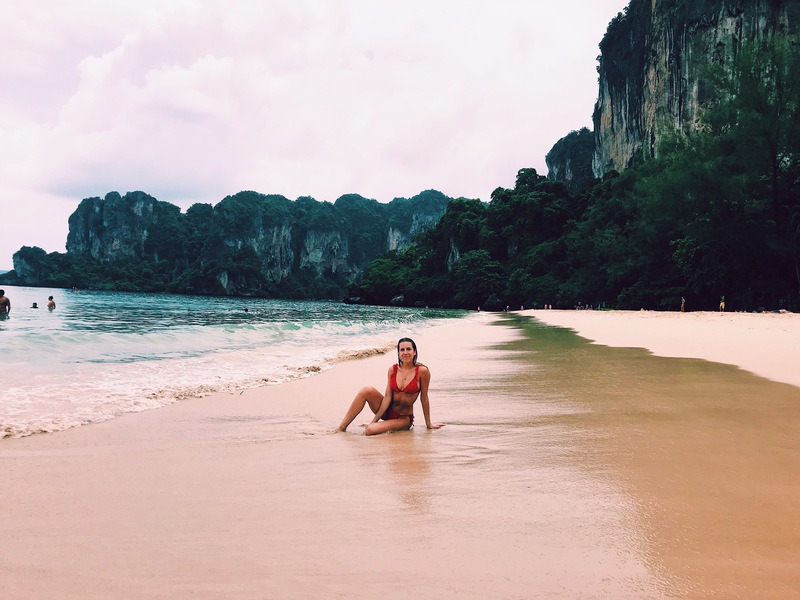 A beautiful island with no rules, no cars and mild illegal activity is Railay, a place you should absolutely visit if you find yourself in Thailand. We spent the end of our trip at Kata Beach in Phuket. Much more touristy and developed than Railay. We loved Kata Beach and wished we had more than a few days in the cool surfer beach town. The beach was a short walk from our hotel and great for surfing or laying out, weather permitting. The only upsetting thing about the experience, both in Kata and Railay was the amount of garbage lining the beautiful beaches and crashing with the waves. Not sure who is responsible but regardless it was very upsetting that such a beautiful place was littered with trash, from gasoline tanks to water bottles. With that aside, we still had a great time. There were endless restaurants here that had four walls (!!!!) and great food. I had some of the best food here that I had the whole trip. For a huge menu with amazing Thai food or pretty much any other food your heart desires, awesome cocktails (passion fruit with Thai rum, yum) and live music check out Palm Square. Another great spot was Two Chefs, the passion fruit pannacotta was out of this world. All the fruit in Thailand I had was amazing, I ate as much passion fruit, pineapple, dragon fruit, lychee and watermelon I could get my hands on. You won’t have trouble finding it though because it’s everywhere and it’s always delicious. Lastly was the Boathouse, a fancier restaurant with live Piano, Thai and western food options. You can sit on right by the beach and have an amazing view of the sunset when the weather is nice, but unfortunately, it was monsooning the day we went. It actually rained the last two days we were there and I’ve never seen such rain and wind in my life. We left Kata and spent our last day in Bangkok before heading home to the US. As a grand finale, I got food poisoning from something I ate during our layover in the Shanghai airport minutes before we had to leave for the journey home. I was so mad after being so careful the past two weeks making sure I didn’t eat anything sketchy. Thailand left with one last memory I’ll never forget, a 15-hour flight spent in the tiny airplane bathroom. But I am going to try and focus on only the good of the trip, not the bad! Overall the trip was amazing. Despite being out of my comfort zone I had an incredible time and experienced so many new things that I am forever grateful for. I don’t know when or if I’ll ever get the chance to go back to Thailand or another part of South East Asia but I am happy to say that we made the most out of our two weeks. I enjoyed learning about the culture and a new way of life. Having never been to South East Asia I didn’t know what to expect but I am extremely happy to have this opportunity and now being able to cross the destination off my bucket list. I am not sure if other people feel this way after they visit a new place but over the past few weeks, I felt an enormous sense of gratitude and appreciative of everything. Thank you for reading this post, if you did… Make sure to subscribe for your Dose of Dana!